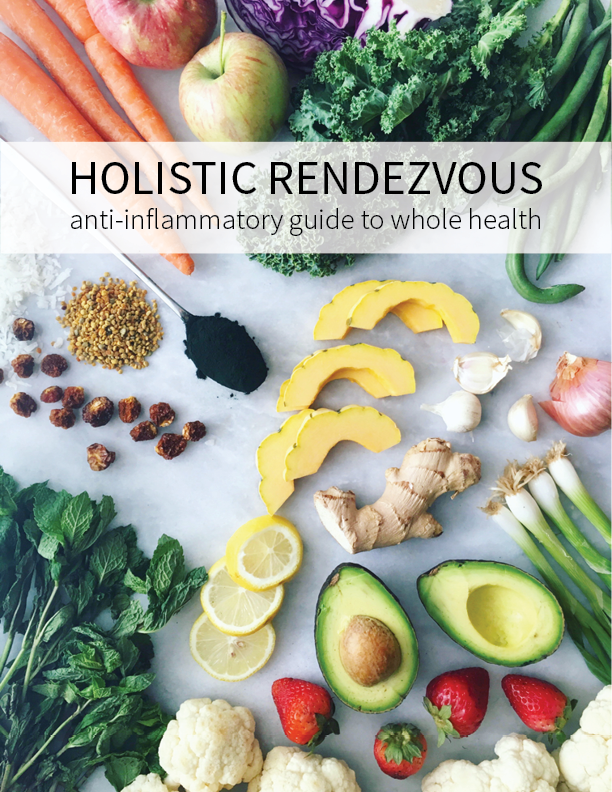 The Immune Boosting Dressing is one of my FAVORITE recipes for dressing…and it is so easy to diversify. I am putting the simple recipe that I learned at the Living Foods Institute in Atlanta here, but feel free to get crazy! One of my favorite additions is green onions and bell peppers. YI also like upping the olive oil for a less tart dressing, if the citrus is a bit much for you. 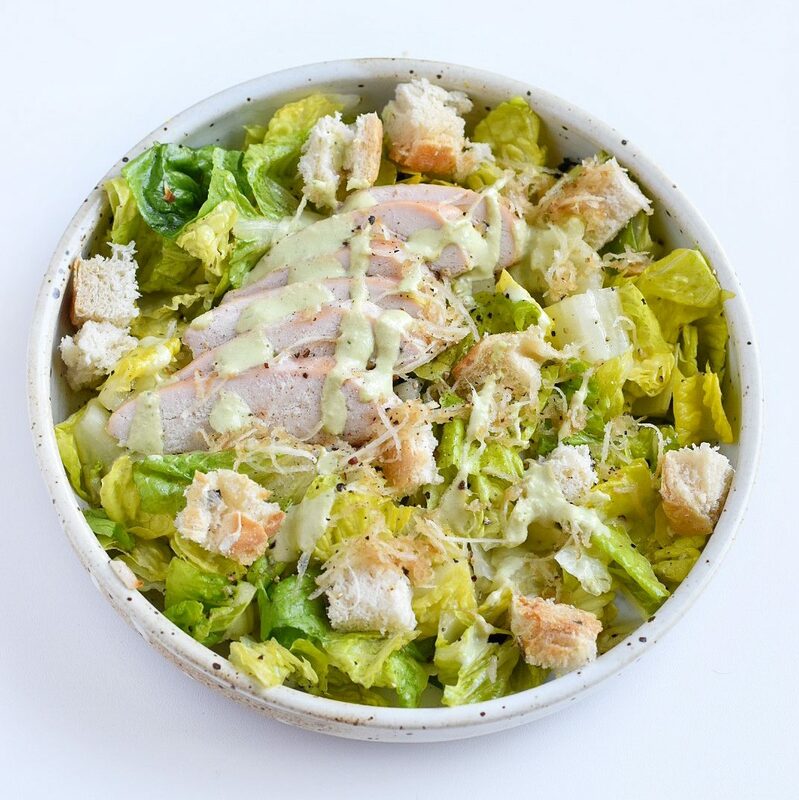 Don’t forget that healthy fats are perfect for a green salad because they actually help you utilize the fat soluble vitamins in greens and veggies more efficiently! This dressing gets better over time and can be kept in the refrigerator for at least a week…I usually gobble it up though! This is a great antiviral dressing for winter months because of the amazing ingredients. Lemon juice is a great detoxifier, stimulates the liver and gall bladder, and it is also fantastic for your immune system. Lemon juice is also great because it is extremely alkaline in the body even though it tastes acidic. Olive oil is soothing to the digestive tract, fabulous for the gall bladder and liver, makes your skin glow, and is antiviral. 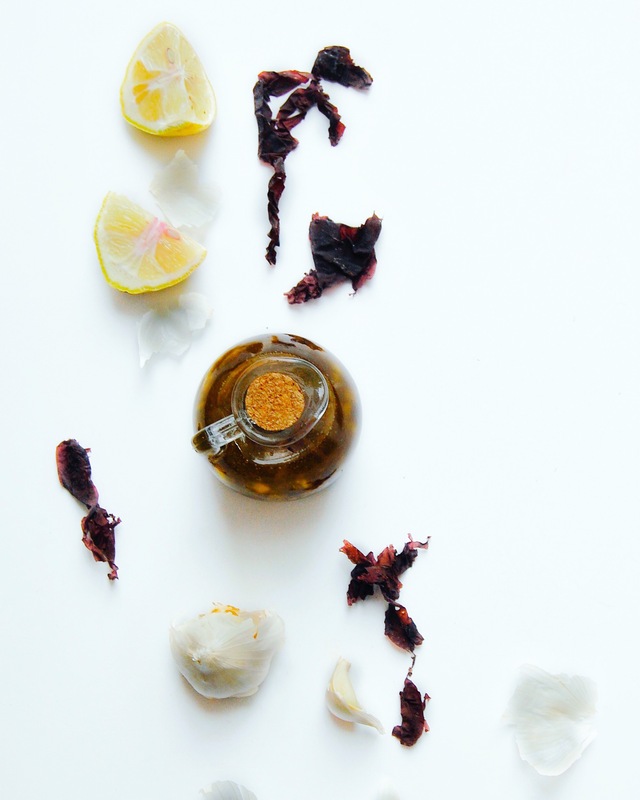 The dulse flakes are an amazing way to get seaweed into your diet. Seaweeds and sea vegetables have so many great benefits for your health, including their antibiotic properties. You can get some here. And my favorite for any illness is garlic. Garlic is antibacterial, antispasmodic, antiseptic, and a lot of other big words, but it’s basically nature’s antibiotic in my opinion. I actually take a garlic supplement every day for my immune system! 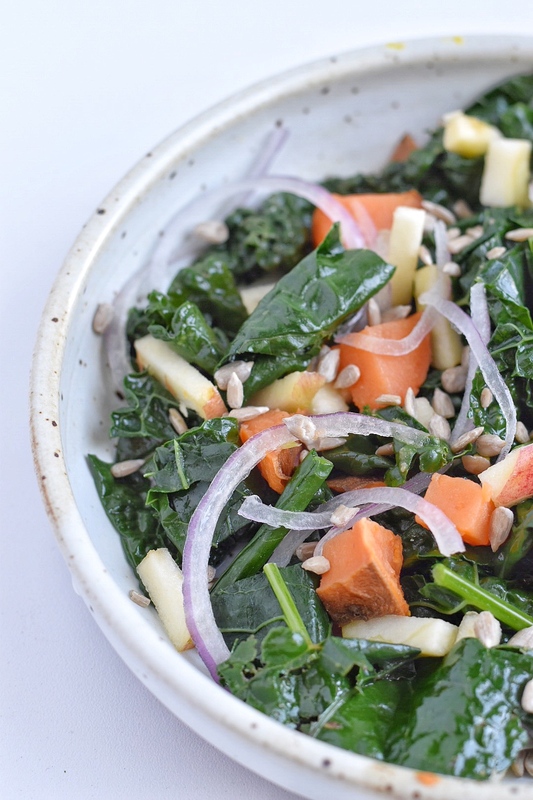 I love putting this dressing on my Warming Fall Salad and Raw Caesar Salad ! Since this is a raw recipe, you simply juice your lemons, chop your garlic and throw all of your ingredients into a jar and shake! Remember to save old jars and re-use them so that you are reducing waste! 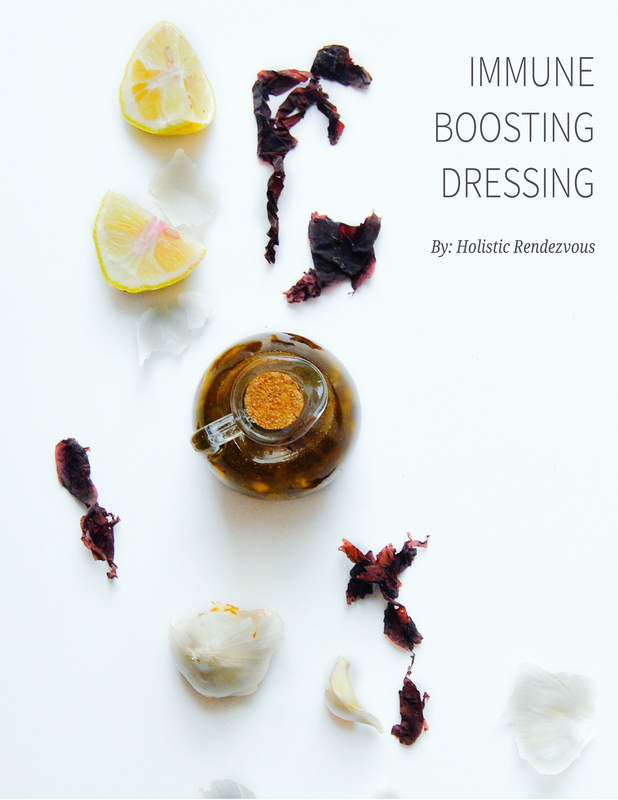 I know you will absolutely love this dressing and find many different uses for it! So, if you make it and love it, comment below or post to social media and #holisticrendezvous and tag @holisticrendezvous so I don’t miss it!